Deep under the icy landscape there’s a starcraft buried in the snow and ice. Perhaps someone has excavated a tunnel in the ice or there’s a weird teleportation device keeping a small chamber around it melted in the ice. 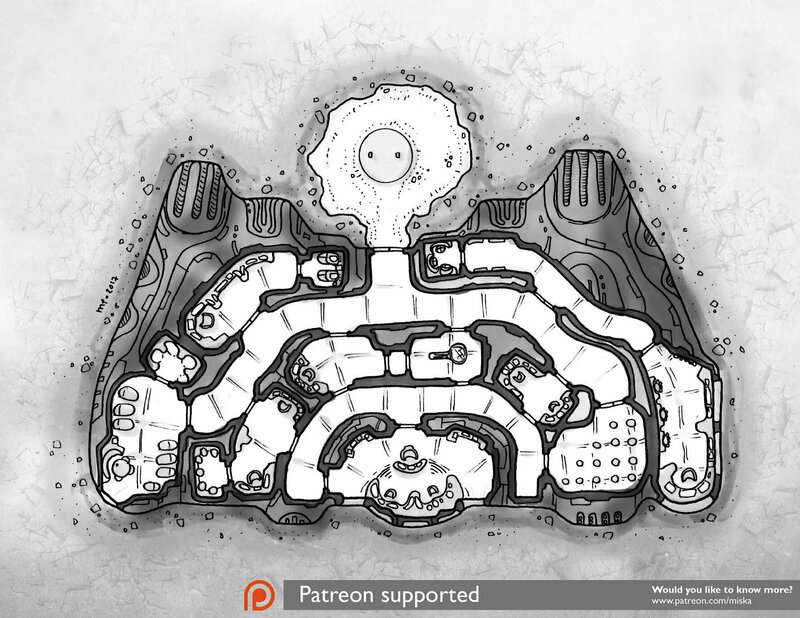 This map was originally published on Patreon with the support of my awesome patrons in March 2017.